I remember when I was studying maths and had to draw graphs, the task was not really difficult, but admittedly, I never really managed to draw perfect graphs. 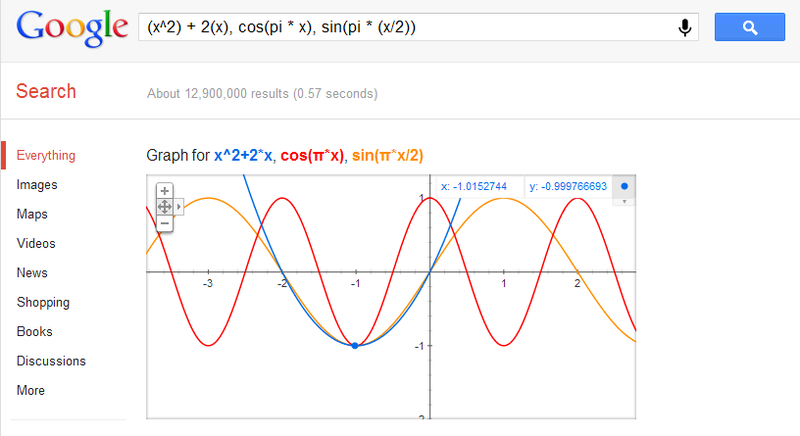 But anyway, if I ever had some problems or if I just wanted to ensure that it was correct, I would go to Wolfram Alpha, put in my equation, and get an artistic graph, complete with differently coloured lines, zooming in and out, and fancy features which would eventually end up taking 10 minutes just because I liked watching my graph getting twisted by entering in random numbers and symbols. Now though, with Google basically having it's own version of everything, from operating systems to social networks, there is new option. 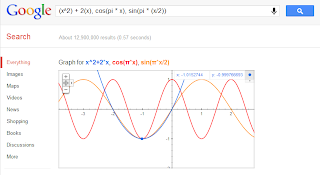 One can now just type in an equation a nice graph is rendered along with other search results :D I don't really need it but I think it is quite helpful for getting and idea of how a graph looks like.